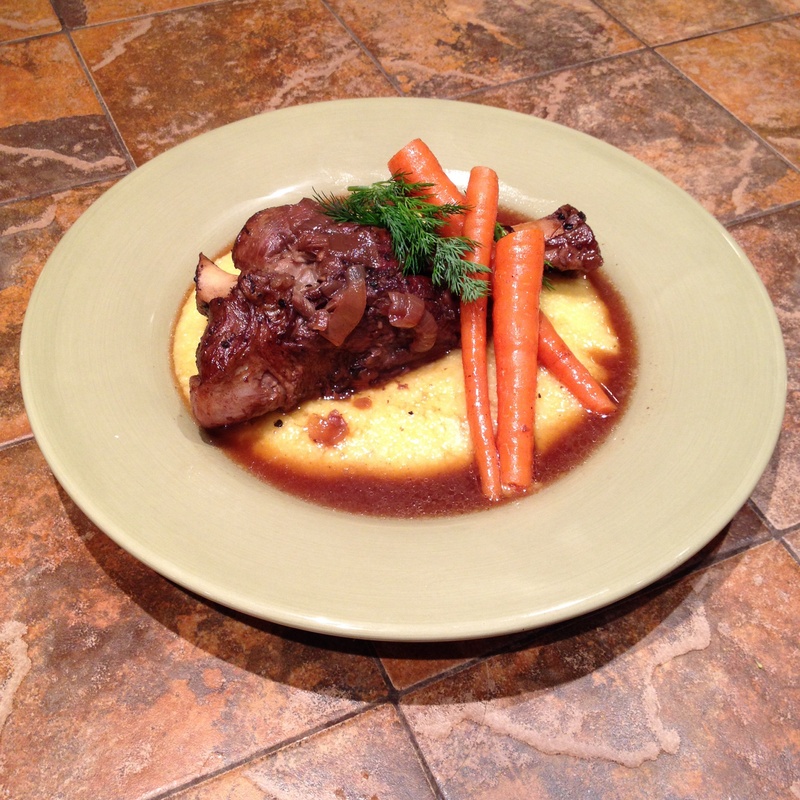 Lamb Shanks in Red Wine Sauce – T.W.O. Lamb. It’s so versatile! 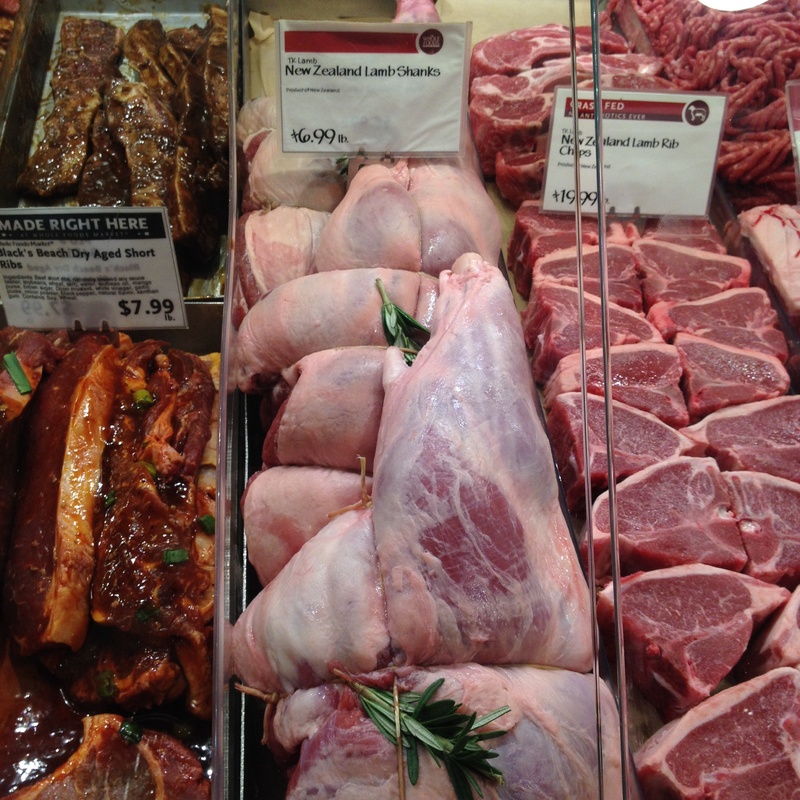 Lamb chops, leg of lamb, lamb kabobs, ground lamb, and our most recent recipe— Lamb Shanks! It was a perfect Saturday evening to cook this delicious dish. The lamb is braised in a red wine sauce for a few hours and the results are magnificent— tender, flavorful meat, falling off the bone and into your mouth. It is just heaven! The dish went well over creamy polenta. 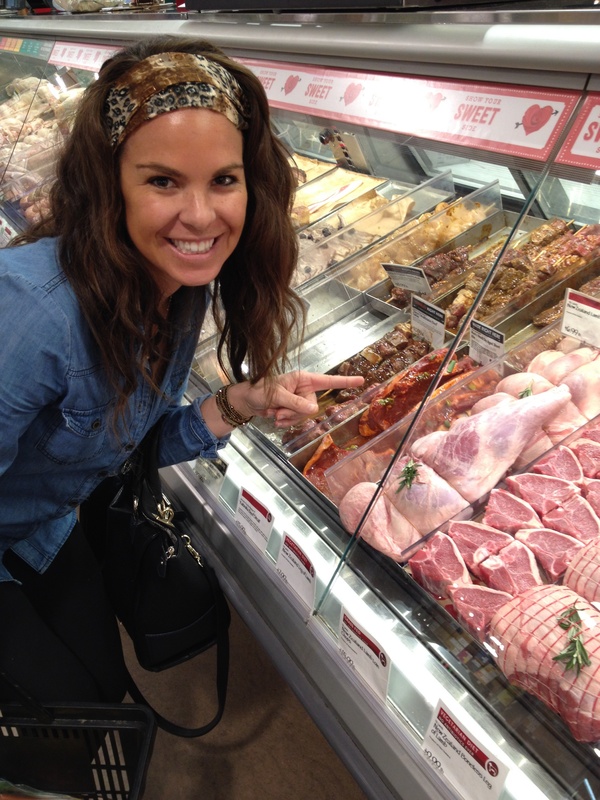 So next time you are thinking lamb, try this recipe out! 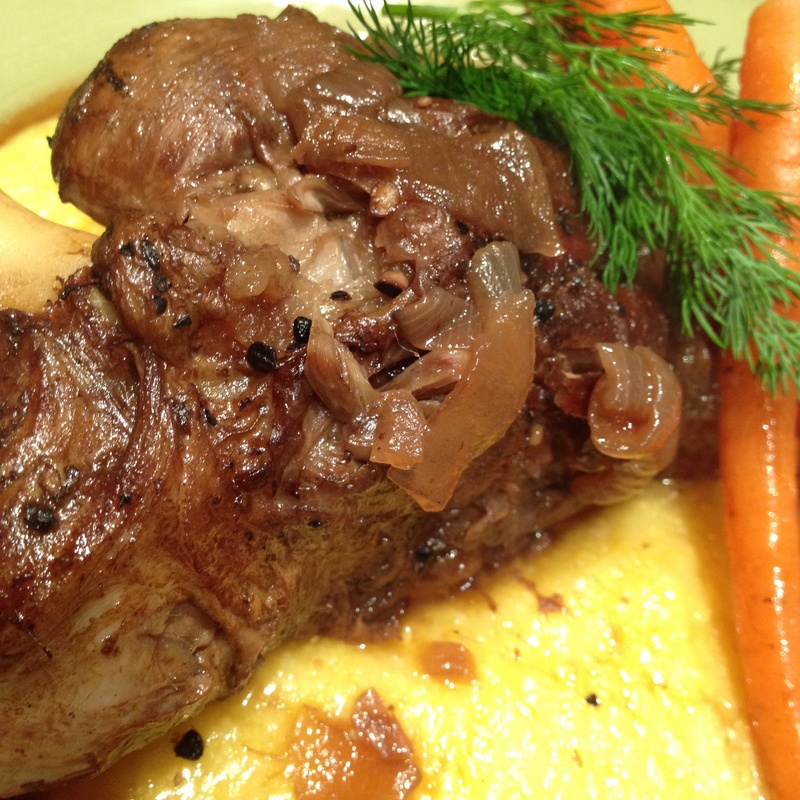 Begin by seasoning the lamb shanks with the Montreal Steak seasoning. In a large sauté pan, heat the olive oil over medium to high heat. 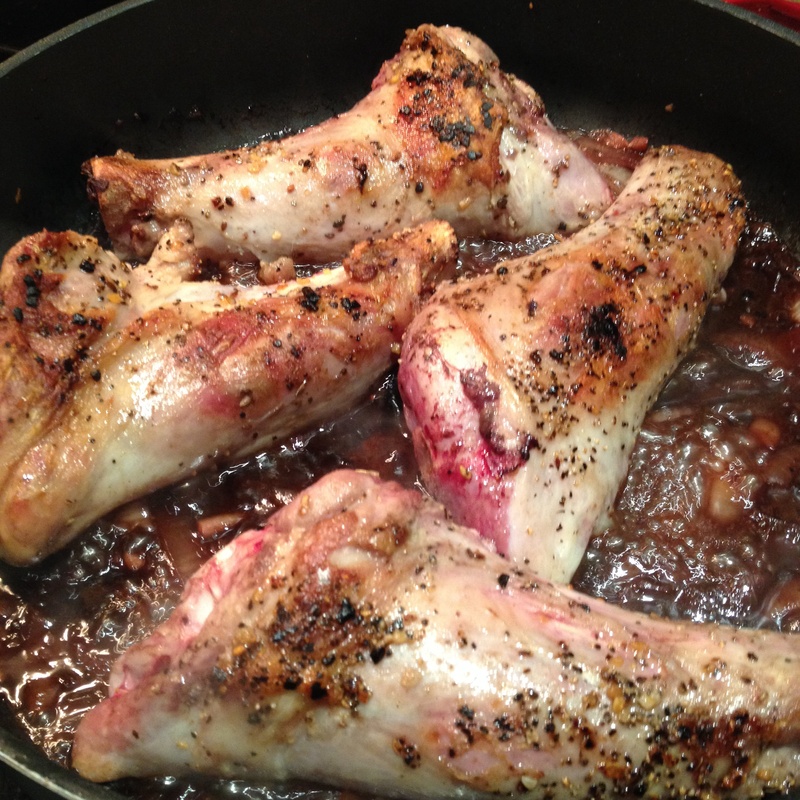 Brown the lamb shanks on both sides until golden brown. 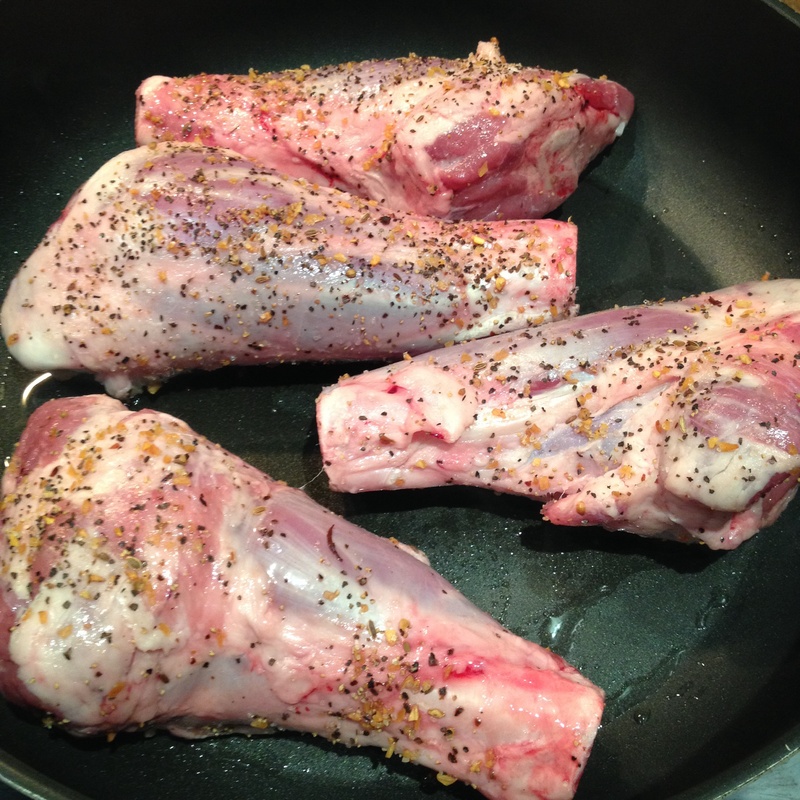 Remove the lamb from the pan and keep the remaining “fat” juices. 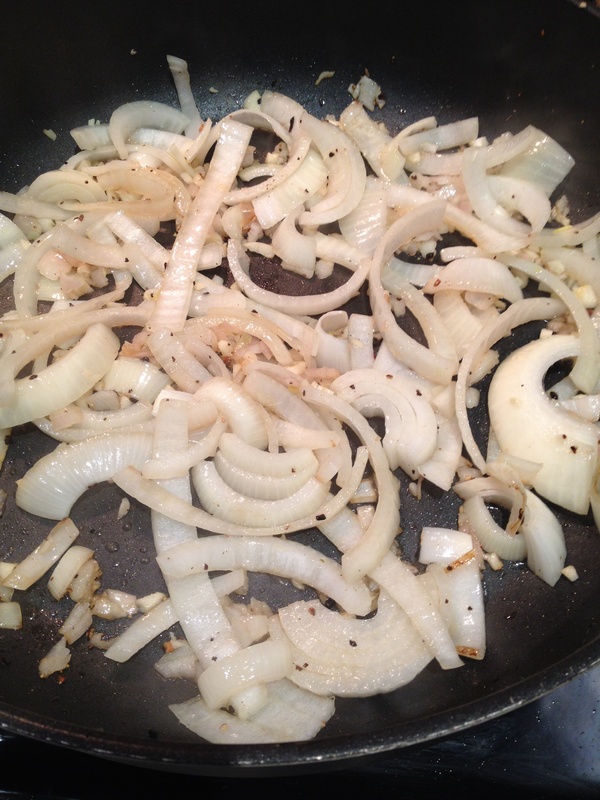 Reduce the heat to medium and begin sautéing the garlic, onions, and shallots. Add in the sugar. Cook until they are golden brown and caramelized. 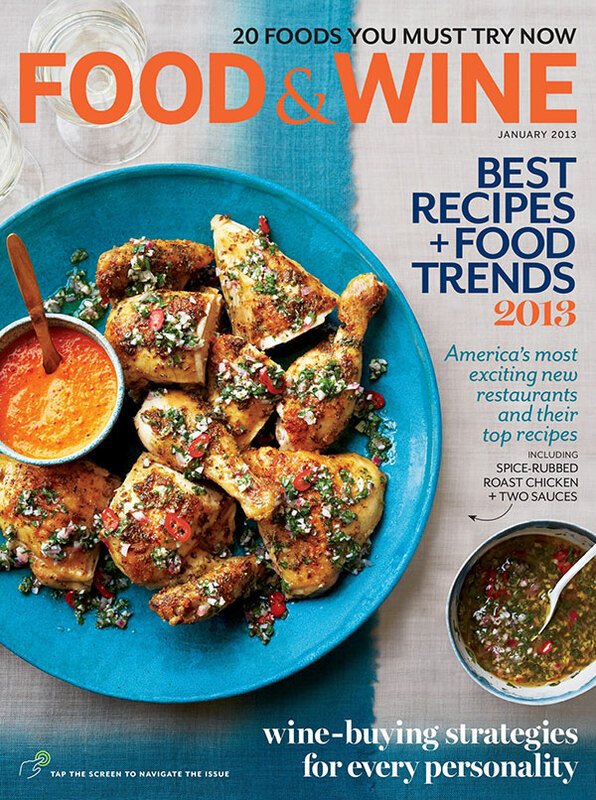 Turn up the heat and deglaze the pan with red wine, making sure the mix while cooking. Cook until the red wine has reduced. 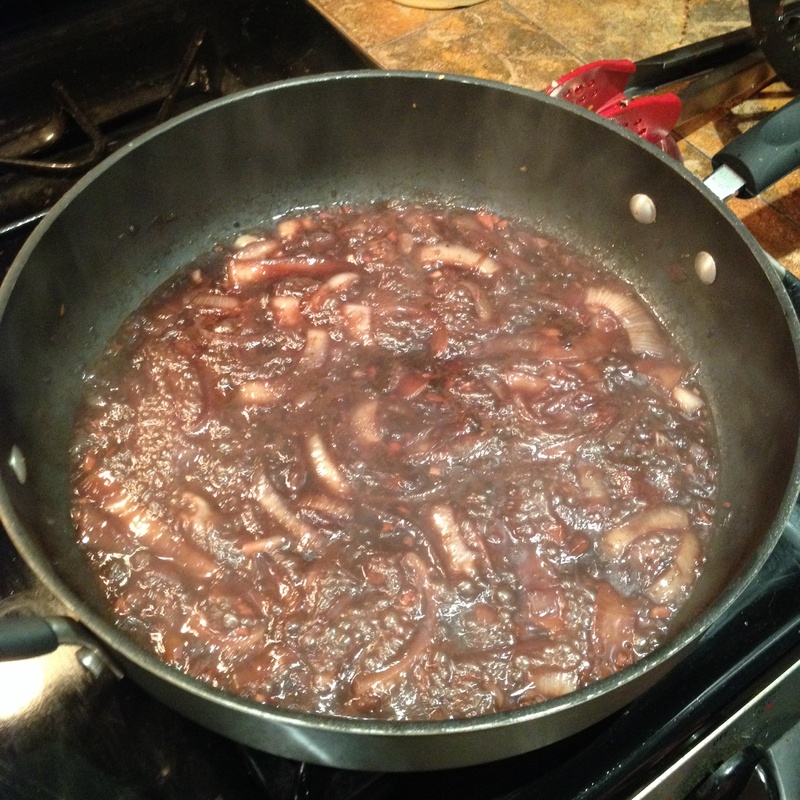 Next, add in the balsamic vinegar, beef broth and brown sugar and bring to a boil. Reduce the heat to low and allow the lamb to simmer for about 2.5-3 hours. You will know when the lamb is done when the meat begins to fall off the bone and the sauce has reduced into a thin glaze. T.W.O. 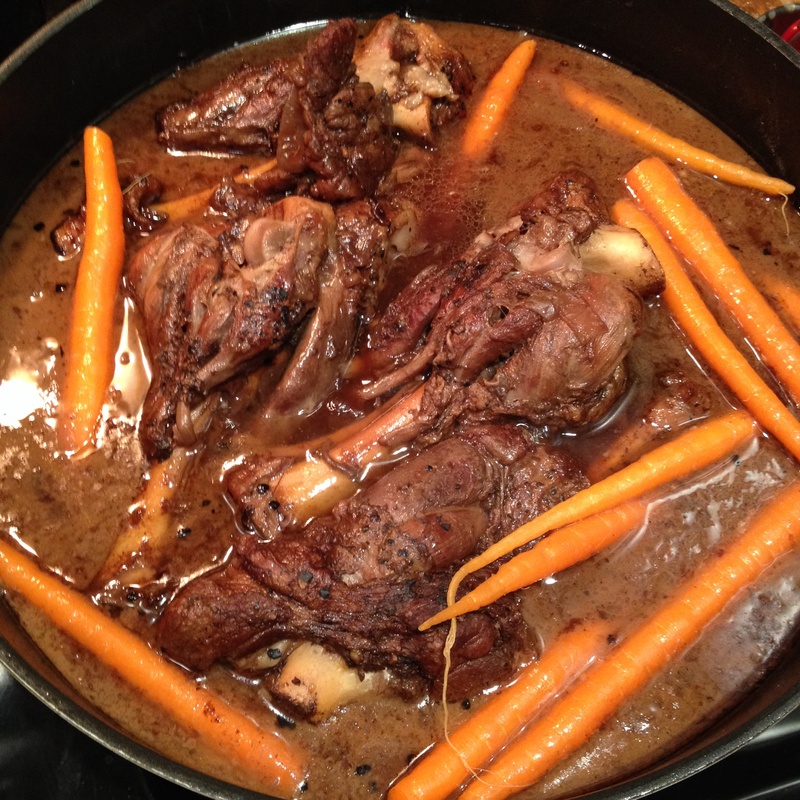 decided to throw in some baby carrots about 10 minutes prior to the lamb shanks being done. 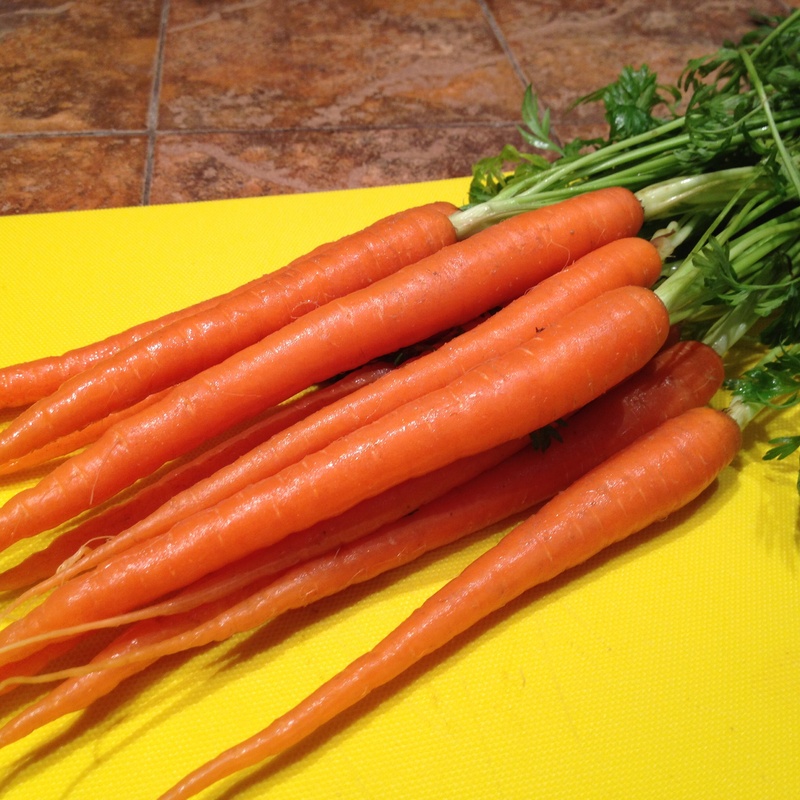 The carrots had a great flavor after being cooked in the wine sauce. In a sauce pan, bring the vegetable broth to a boil. Reduce the heat and whisk in the polenta. 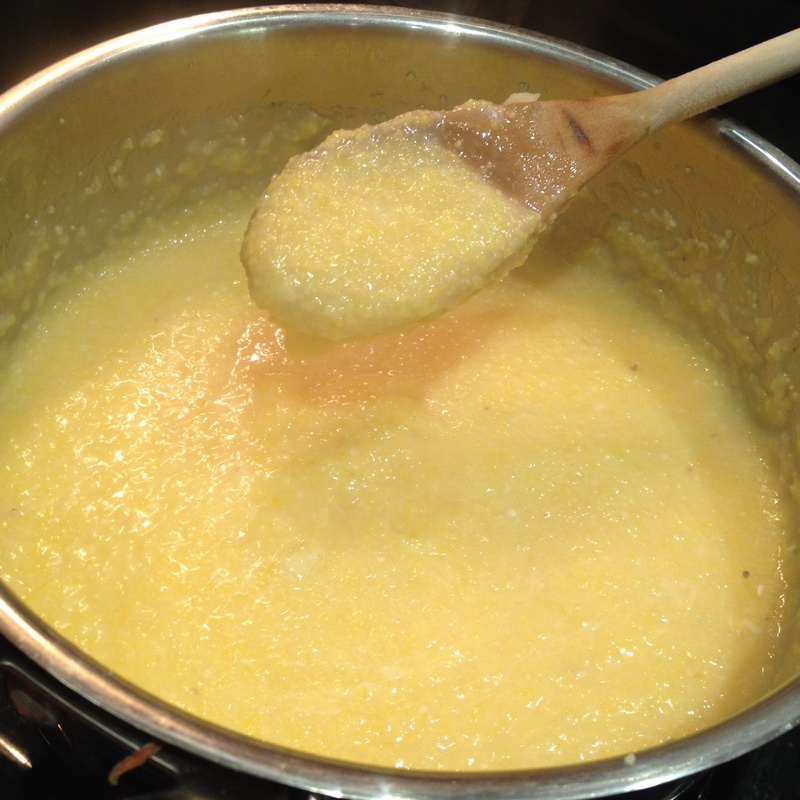 Mix frequently for about 15-20 minutes until the polenta is soft and thick. At this time add the Pecorino Romano. Mix well. 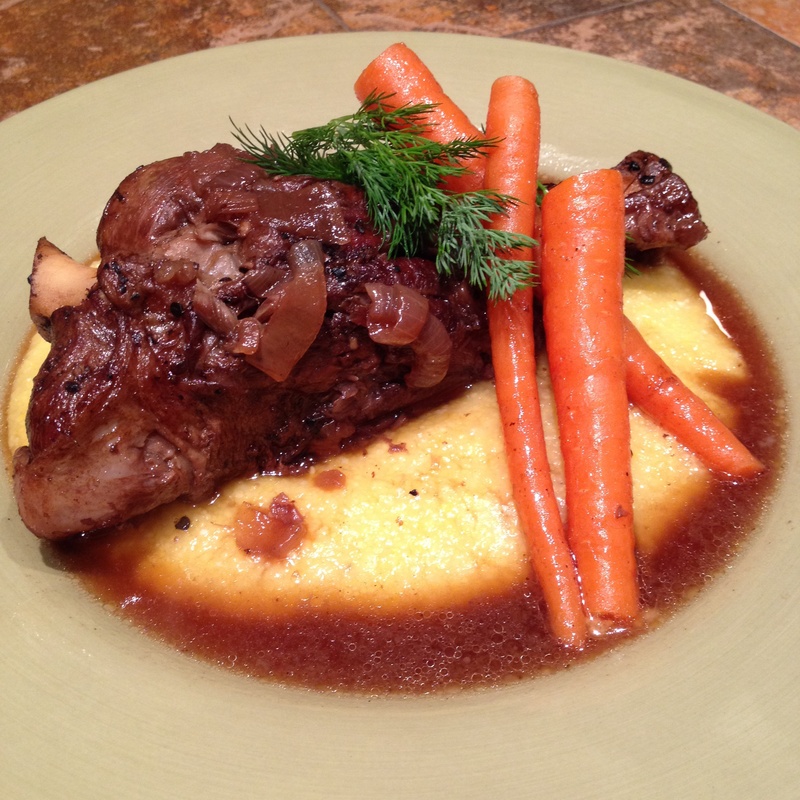 Plate the lamb shank over polenta, mashed potatoes, or quinoa! Time to eat!